Chances are, you’ve not heard much about dysgraphia. If your child has trouble expressing his/herself in writing despite plenty of practice and corrective feedback, you may want to learn more. Writing requires a complex set of fine motor and language processing skills. For kids with dysgraphia, the writing process is much harder and slower. Just holding a pencil and organising letters on a line is difficult. Their handwriting tends to be messy. Many struggle with spelling and putting thoughts on paper. These and other writing tasks—like putting ideas into language that is organised, stored and then retrieved from memory—may all add to struggles with written expression. Dysgraphia often runs in families. It’s brain-based is issue – not the result of a child being lazy or not trying hard enough. Signs of dysgraphia generally appear when children are first learning to write. The impact of dysgraphia on a child’s development varies, depending on the symptoms and their severity. Academic: They can fall behind in schoolwork because it takes them so much longer to write. Taking notes is a challenge. They may get discouraged and avoid writing assignments. Social-emotional: Children with dysgraphia may feel frustrated or anxious about their academic and life challenges. If they haven’t been identified, teachers may criticize them for being “lazy” or “sloppy.” This may add to their stress. Their low self-esteem, frustration and communication problems can also make it hard to socialize with other children. Many children with dysgraphia have other learning issues: Dyslexia, ADHD and dyspraxia can also affect written expression. 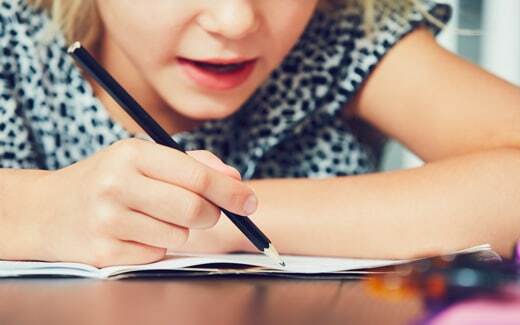 While dysgraphia is a lifelong condition, there are many proven strategies and tools that can assist. Adapted from Erica Patino’s online article on dysgraphia for Understood. SPELD NZ Assessors and Teachers are familiar with dysgraphia and know how to help children improve their writing skills. How can I get support from SPELD NZ? Download our Information Pack below. This information can also be emailed or posted to you. Please feel to call us if you find reading difficult and we can talk you through everything – 0800 773 536. SPELD NZ also runs courses for parents, teachers and other professionals. Take a look at the Training page on this website for details.